Parker, Colorado has been around since 1864 and is a beautiful suburban at the heart of Douglas County. It is only a drive away from the Denver Metropolitan Area, and Parker is known to offer to its residents and visitors a unique taste of history with a living relic of the Western-Victorian era present in downtown Parker, Colorado. Parker, Colorado is a town of 18.8 sq miles and is specifically 20 miles southeast of Denver. It is approximately 5,900ft above the sea level and contains a whole population of 45,300 residents within its boundaries. Parker, Colorado has gone through such colourful history all throughout the years. It first made its appearance on our history books through the building of the Pine Grove Post Office by none other than Alfred Butlers in 1862. Two great years after, the town expanded and grew to the now known Parker, Colorado. Of course, there were early settlers in the town, and they mostly comprised of Native Americans – Cheyenne, Arapaho, and Ute. However, Parker reached its peak of popularity when gold was discovered in its boundaries during the late 1850’s. Therefore, people started crowding and settling in Parker and became known as Pine Grove. The town got its name from James Parker who was the main contributor to the expansion of the town. Many of the first roads, schools, cemeteries, and railroads were all thanks to James Parker. 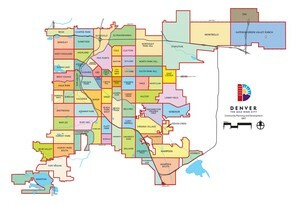 In the recent history of Parker, Colorado, there have been many developments around the area such as building subdivisions, the expansion of business establishments available to residents, and the development of the roads to connect the town of Parker to the rest of Colorado. Without a shred of doubt, Parker has grown into a rich and bustling town perfect for families looking for a peaceful neighborhood in the rocky mountain state of America. Families who are residents of Parker, Colorado cannot run out of activities, to do within the town. Parker is full of hiking trails, open space, and great lustrous parks where everyone in the family can have a good time. All the facilities in Parker cater to all the member of the family. Many town events are offered and planned by the Recreation Department of the town which was founded for the main intention of strengthening the community. For this reason, Parker has received plenty of rewards and acclamations from the United States of America for its first-rate recreation facilities available for the residents of Parker. Children can join the fun with all the community sports happening all throughout the year.